I’ve been getting the odd and strange achievements recently, and instead of sliding them by there are screenshots. Firstly here are some shots from the Blacksmith quest-line to use the Thunder Forge, then onto some random shots from doing daily quests, the 5000 quest achievement, and also getting Mortigen’s Black Prince reputation to Exalted. 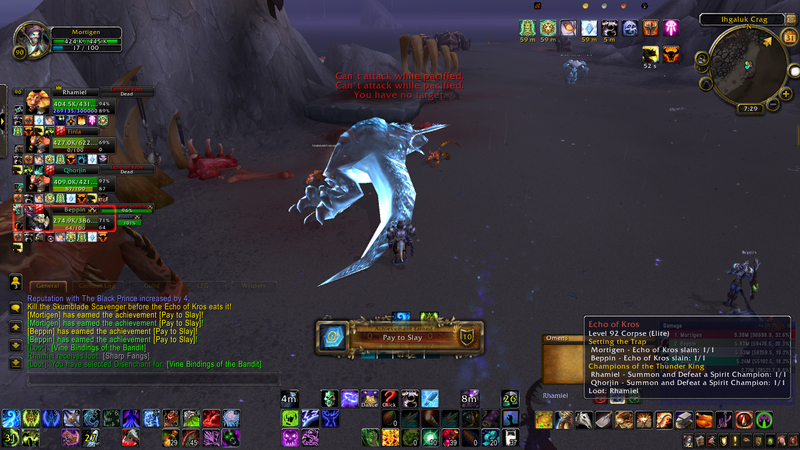 Then another for looting 50k gold. 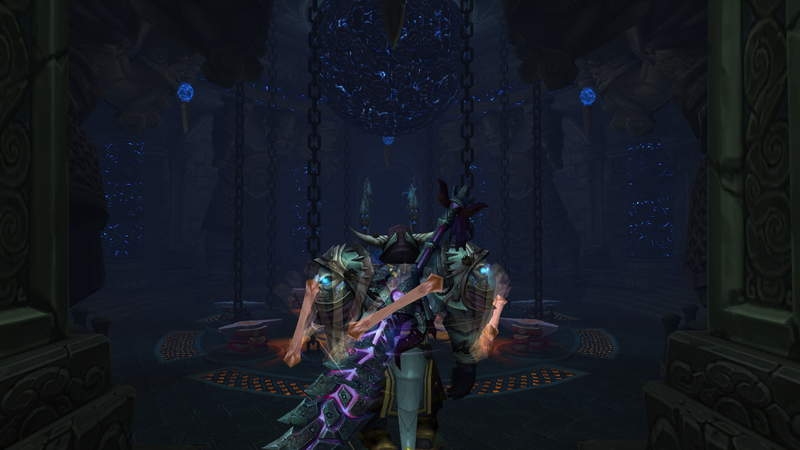 Mortigen staring at the forge itself after clearing up the Mogu hanging around the entryway. This forge really deserves more attention, it is beautiful. The Achievement for Pay to Slay, which I don’t understand the meme for. 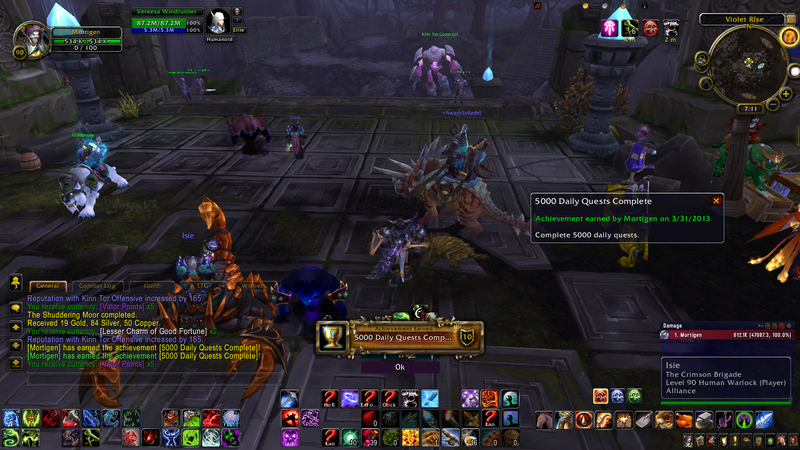 And the Achievement for 5000 Daily Quests. Jesus that is a lot of regular activity. 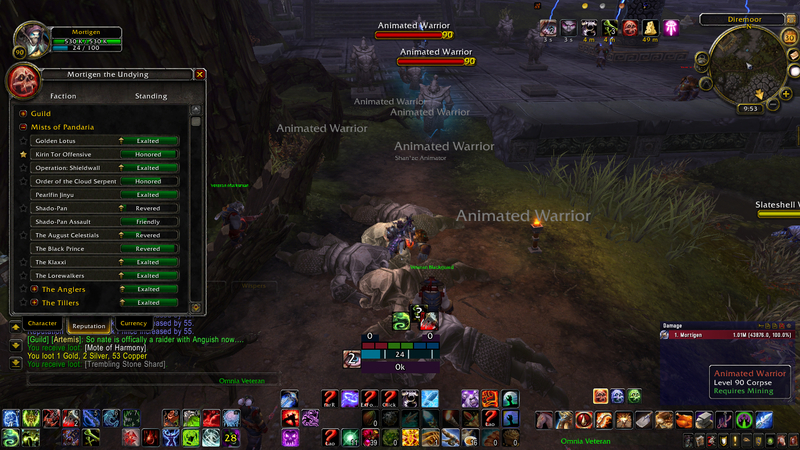 And I am also now Exalted with Black Prince. And then “Got my mind on the Money”, to loot 50k gold. 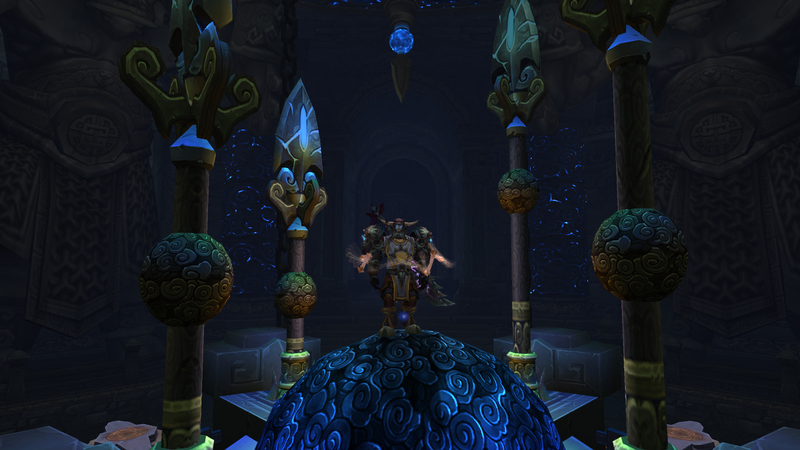 This entry was posted in Warcraft and tagged achievement, Blacksmith, exalted, mortigen, screenshot by Typhoonandrew. Bookmark the permalink. ah, I bet you’re right. Thank you for that, it was bothering me.